New Catalogue – Spoiler Alert! I am so excited, my stamping friends, that I just can’t keep it in!! The South Pacific region is holding their Convention right now – which means that they are all receiving the new 2015-2016 Annual Catalogue, and of course seeing all the new products! Stampin’ Up! knows that we in the rest of the world are SO jealous – that they recorded the catalogue reveal and shared it with the rest of us! 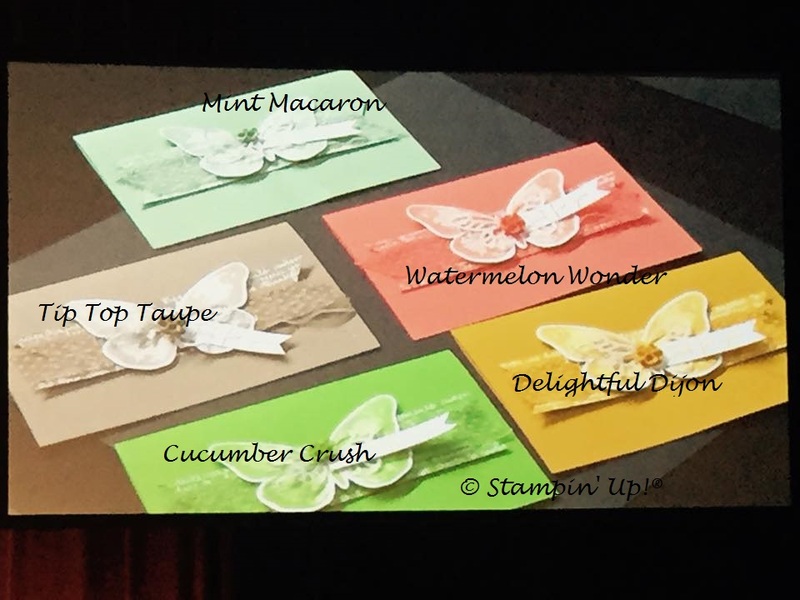 The good news – I can share a picture with you – and it will show you what the new In Colours look like, along with some new products that were used to make the samples!! How’s that for a compromise? And how many new products can you spot, that were used on these samples? I am dying to share with you – but I can’t; not yet! It’s only May 1st today, and you’ll just have to wait until the kickoff of the new catalogue, which is June 2nd. Unless…. did you know that NOW is the PERFECT TIME TO JOIN MY TEAM! That’s right – by joining my Team now as a demonstrator, you will be able to choose from the upcoming new catalogue sneak peek list of products to put together your Starter Kit? Plus choose from the current catalogue, and the Occasion catalogue! That’s a whole lot of wonderful choices – you get $155 in product FOR ONLY $125 – PLUS FREE SHIPPING!! The pre-order for demonstrators starts next Tuesday, May 5th – so PLAN TO JOIN MY TEAM THEN if you want your goodies early!! I am also holding a New Catalogue Kick-Off Party on May 31st – you’re invited to attend! You can sign up then, get your copy of the new catalogue, enjoy some make & takes, and have fun! Just send me an RSVP by email at debsmart@shaw.ca by May 15th. For more information on Joining My Team, please contact me by calling 604.298.0472 or email me at debsmart@shaw.ca, or you can click HERE to read about joining, and sign up online right away. I’m looking forward to welcoming you to my Team – The INKcredibly Creative Crew – and showing you how to make the most of being a Stampin’ Up! Demonstrator! 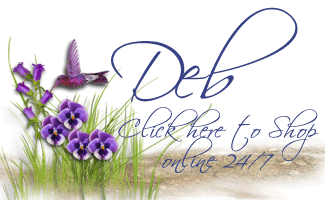 Next Next post: Creation Station Blog Tour – Happy Mother’s Day!